Home | Luxury Rehab | Is Aftercare Important? Getting through a rehab program is a lot of hard work and after completing a stay in an inpatient facility people may feel completely transformed. However, even though people can make a lot of progress while in treatment there is still more work to be done after they finish rehab. It can take a long time to feel fully stable in your sobriety even if you have followed your program closely and been committed to recovery for several months. Addiction is a very complicated problem that can continue to cause issues after rehab and that is why most treatment centers offer some type of aftercare. There may be some cases where a patient with a milder addiction feels that they don’t need aftercare but the majority of patients will benefit tremendously from having the option available to them. Aftercare is important because it offers a safety net for those who need extra support in their transition from rehab to going back home. One of the main reasons that aftercare matters has to do with the differences between staying sober in a treatment center and staying sober back home. It can be much easier to feel stable and strong in your sobriety when you have constant support from peers and staff members in a rehab facility. You might never feel tempted to drink or use drugs again if you stayed in that environment forever. But eventually, every patient must return home and be faced with the stresses of daily life including work, school and relationships. Even worse they will be faced with the option of being able to drink again every time they are near a bar or go to a restaurant or a party. Going back home after rehab means opening up a whole new world of temptations and difficulties that you never have to encounter while in treatment. People leaving rehab need the support of aftercare to ensure that they do not experience a relapse which could be very detrimental to their health and progress. Preventing relapse is crucial because although you can return to treatment it usually becomes harder to get sober the second time. Relapse can be an unfortunate reality for many people but doing everything possible to prevent it from happening is the best attitude to take during recovery. Aftercare is a way to help former patients prevent relapse because it gives them training and education while they are involved in real life experience. Even though rehab provides them with certain tools and strategies in preparation for going home, aftercare continues this education as they are in the midst of going through their own particular issues. People have the opportunity to talk to someone about the problems they experience with being home again. Once a person leaves rehab it can be easy for them to fall off the wagon if they don’t find a way to stay engaged and connected to the recovery community. Aftercare is a simple way to stay involved, informed and positive in the first few months after leaving treatment. If former patients don’t have the support system that they need at home they are in serious danger of experiencing a relapse. The hardest thing about coming back home after attending rehab is learning how to handle the many triggers that will come up in different situations. You might not even realize what these triggers are until you are faced with them in the moment. That is why it is so important to have counselors and support groups available to help you as you learn to navigate a sober life. In aftercare you can start to learn how to consistently identify your triggers and come up with an action plan for how to handle them each time they occur. You need to learn how to modify your coping skills so that you can ride out a trigger without endangering your sobriety. While in the past you might have relied on drugs or alcohol to cope with certain situations you will need to create some new plans and strategies that offer healthy alternatives. Aftercare provides people with counselors, peer support groups, classes, sponsors, family therapy and a variety of other tools to help them make the transition from the treatment center to living on their own. It is an important way to bridge the gap between sobriety in a safe and supportive environment and being sober out in the real world. Going to an aftercare program can help reduce stress and make life seem more manageable while you get a handle on your new lifestyle. 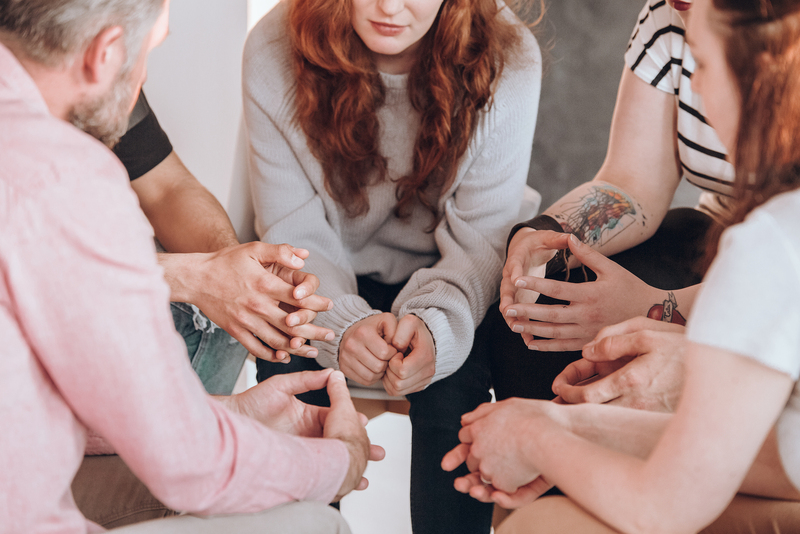 If you are concerned about your transition out of rehab, make sure to inquire about your treatment center’s aftercare program and what options they have available for support after you complete your inpatient stay.